Kellogg Community College is accepting applications now for nearly a dozen 12-day, six-week or 11-week sections of Nursing Assistant (CNA) Training Program courses offered at KCC campus locations in Albion, Battle Creek, Coldwater and Hastings during the Fall 2018 semester. Upcoming course dates and locations are listed below. KCC’s Nursing Assistant Training consists of classroom, laboratory and clinical instruction and is worth three college credits. The training is offered at KCC via an 80.5-hour course listed as NURS-105 in the Academic Catalog that prepares students to take the Michigan Nursing Assistant Test to become Certified Nursing Assistants (CNAs). KCC offers the program throughout the year in full-semester (11-week), six-week or expedited three-week (12-day) options. In the workplace, nursing assistants provide basic care services under the direction of nursing staff, including feeding, bathing, dressing, grooming and moving patients. Program graduates who test for and receive their CNA designation often work in nursing care facilities, assisted living centers or as home health care aides. State certification also qualifies students for positions such as patient care assistants (PCAs) and resident care aides (RCAs) in hospitals and federal and state patient care facilities. The CNA profession consistently shows faster than average growth in year over year job openings and in 2017 offered a median hourly wage of $13.72, according to the U.S. Bureau of Labor Statistics. Nursing Assistant Training is also a great way for students to get valuable health care experience hours necessary for admission into many college health programs. 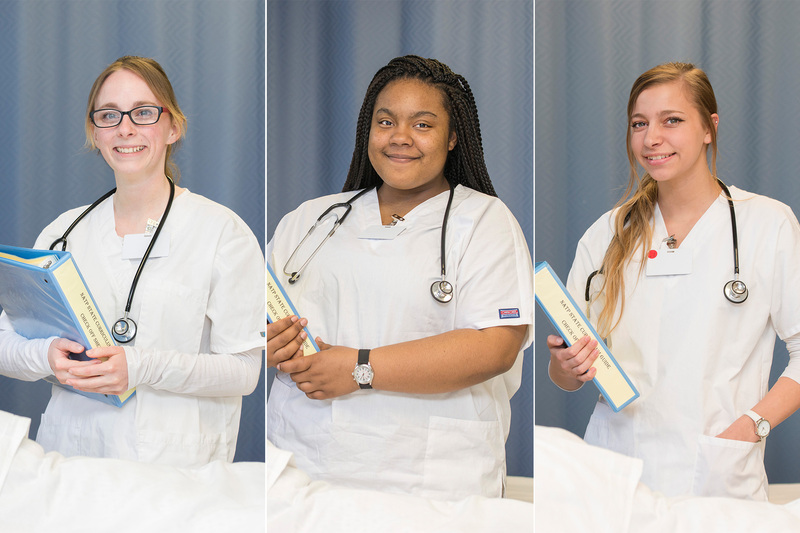 The program offers future nursing and allied health students an opportunity to work in a field related to their future profession while working on their nursing or allied health degree. For more information, including information about tuition and fees, visit www.kellogg.edu/cna or contact an Academic Advisor at 269-965-4124 or advising@kellogg.edu.